Your business and commercial property deserves the right to have only the very best commercial driveway cleaning Bristol service to clean your driveway. With our great commercial driveway cleaning Bristol and driveway maintenance service we can make sure your commercial driveway will look great all year round. Even if it looks sad and neglected now. CleanAndSealUK are passionate about keeping commercial driveways looking GREAT! 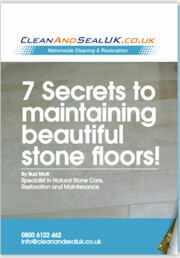 CleanAndSealUK are the chosen company by many commercial, industrial and retail businesses in Bristol and the Southwest. Our expert knowledge and skills make us the right choice when deciding on what commercial driveway cleaning Bristol service you need. If your commercial driveway is in need of a moss and algae treatment then please contact us today. Or are you looking to clean oil off your commercial driveway? Whatever service you need, make sure you contact us for your commercial driveway cleaning Bristol services. We can fix any kind of damaged commercial driveway. CleanAndSealUK can fix for you any sunken blocks and damaged blocks in your block paving driveway. We can also fill holes in tarmac drives as well as patch work to concrete driveways. When it comes to sealing commercial driveways we offer you the best service with the best sealing products. We have sealed thousands of square meters of commercial driveways across the UK, from pattern imprinted driveways to tarmacadam drives. CleanAndSealUK know what is the best product for your commercial driveway sealing and will advise you on the different types of finishes. With a lifespan of upto 4 years (depending on usage) and with annual maintenance from CleanAndSealUK your commercial driveway is going to look amazing for a long long time.